Presenters at the Symposium from left: Dr Alex Luryi, Dr Andile Sibiya, Dr Lungi Setoaba, Dr N Rankhethoa and Professor Elias Michaelides, with some of the participants. The Department of Otorhinolaryngology Head and Neck Surgery hosted the 6th UKZN-YALE Symposium at the Nelson R Mandela School of Medicine under the theme of Neuro-otology. The aim of the Symposium was to exchange research findings and experience between the two universities and was held immediately after the World Health Organization World Hearing Day, which emphasised the importance of normal hearing and the impact of hearing loss on daily lives and economic productivity. According to WHO, unaddressed hearing loss poses a high financial cost to the global economy and has a significant negative impact on those affected. Neurotologist and skull base surgeon at the University of Yale, Professor E Michaelides, focused his presentation on his personal experiences and research on neuro-otology and kick-started the seminar by a temporal bone dissection demonstration on a porcelain ear bone. The demonstration was sponsored by Medtronic and Tacmed Medical Equipment. Speakers focused their talks on hearing health, the development of middle ear effusion in trauma ICU, the future of inner ear drug delivery, audiology, hearing health in the Public Sector, updates on cochlear implantations, surgical management of Meniere’s disease and endoscopic ear surgery. 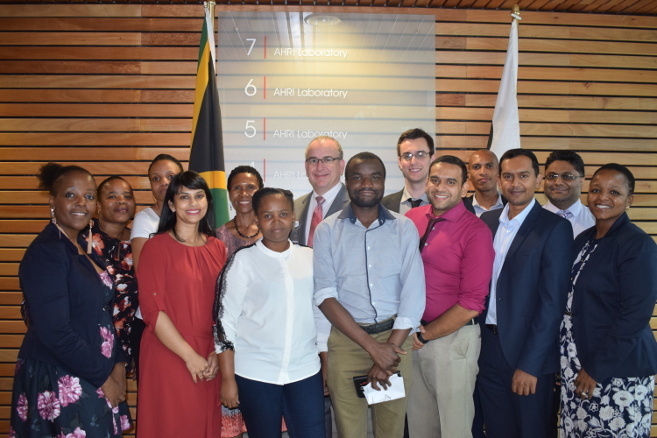 The UKZN-YALE ENT research collaboration began in 2015 aimed at providing training and upskilling for medical staff and registrars at both institutions. The initiative resulted in a research collaborative partnership which included provisions for the required training and upskilling. The Symposium was sponsored by DISA Life Sciences.